Bassiste Bluegrass US né le 21 Avril 1953 à San Jose (Californie). 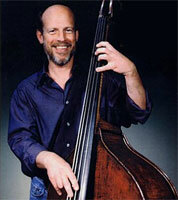 Todd Phillips has revolutionized the role of the bass in bluegrass music. A founding member, along with Tony Rice, Darol Anger and Joe Carroll, of the innovative David Grisman Quintet, Phillips has gone on to play with such progressive bands as J.D. Crowe & The New South, Psychograss, Montreaux, The Bluegrass Album Band and Kathy Kallick's Little Big Band. A five time winner of the readers' poll conducted by Frets magazine and a two-time Grammy winner, Phillips has been as effective a jazz bassist as he is playing bluegrass. Phillips' three solo albums In The Pines, Released and Time Frame — have blended influences ranging from Bill Monroe to Miles Davis and John Coltrane. Phillips' first instrument was the electric bass, which he began playing at the age of eleven. By the age of fifteen, Phillips was proficient enough on the instrument to make his recording debut. During his senior year of high school, Phillips became enchanted by bluegrass and jazz and switched to the acoustic, stand-up, bass. 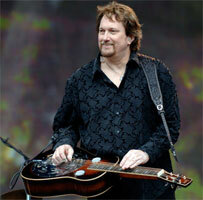 Soon after meeting mandolinist David Grisman, Phillips began taking lessons on the mandolin. Jam sessions on Grisman's back porch soon evolved into the Grisman Quintet. Phillips remained with the group for five years. Together with Tony Rice, Bobby Hicks, Doyle Lawson and J.D. Crowe, Phillips launched The Bluegrass Album Band in 1980. Phillips was also a founding member of Montreaux and Psychograss. In addition to playing bass on more than fifty recordings, Phillips produced two albums by Kathy Kallick. Since 1995, Phillips has worked, along with guitarist John Reissman, in Kathy Kallick's Little Big Band; in 1999, he teamed with guitarist David Grier and mandolininst Matt Flinner for Phillips, Grier & Flinner.